CALLING GWINNETT COUNTY YOUTH VOLUNTEERS FOR SERVICE! 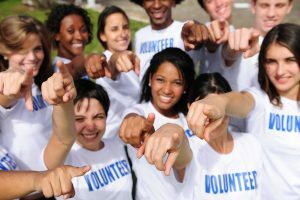 We are excited to share our youth-driven and family-friendly volunteer projects for those who need community service hours for school, or just want to make a difference in your city and county. GIVE BACK and BUILD SERVICE LEADERSHIP! LOVE ROLLS – ages 3 and older -Bring the WHOLE Family to volunteer! Park’nership Deshong – ages 5 and up with adult supervision – Bring the family! REGISTRATION CLOSES TUESDAY 10/17 for NEXT weekend’s projects!